The strongest of the mahjong monsters is joining the Nendoroids! From 'Saki Achiga-hen' comes a Nendoroid of the main character's older sister, Teru Miyanaga! 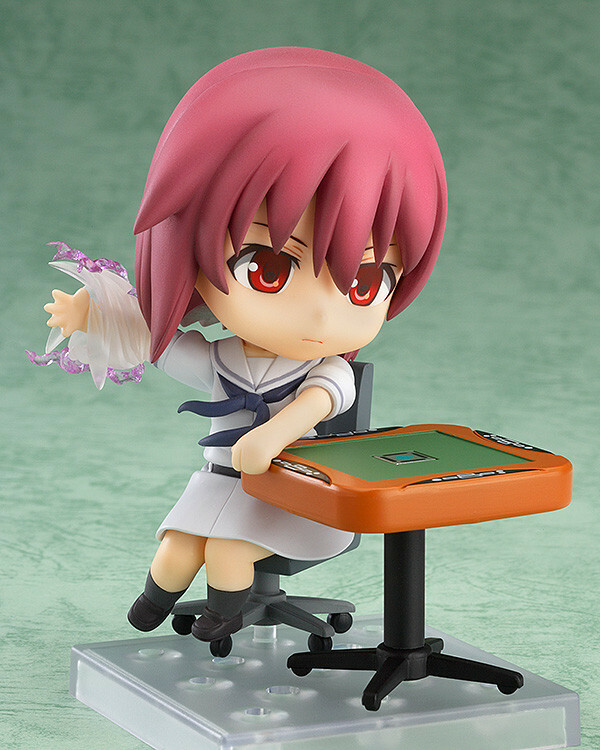 The champion of the Kiyosumi High School and two other High School mahjong tournaments is joining the Nendoroids as the first ever one-pose Nendoroid! 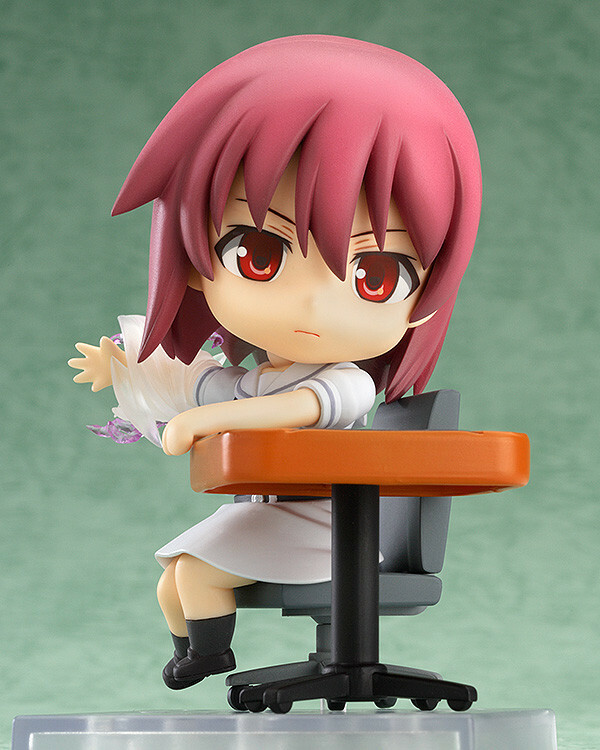 She is posed in the memorable seated scene from the series, capturing everything about the scene in detail that a single pose figure allows for. 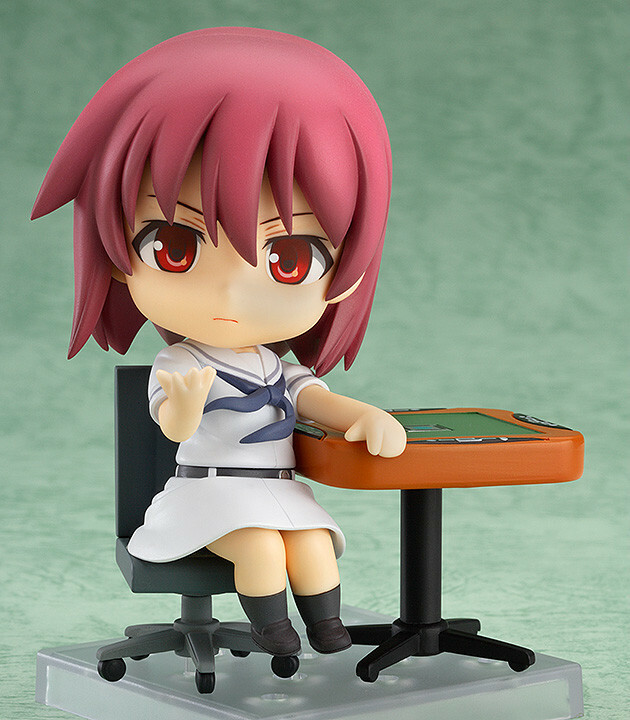 You can also pose her together with the previously released Nendoroid Saki Miyanaga to create a mahjong game between the siblings! This product is included with the 'Saki Achiga-hen episode of side - A Blu-ray Limited First Edition Special BOX. *Mahjong table is not included. Included with the 'Saki Achiga-hen episode of side - A Blu-ray Limited First Edition Special BOX.